What is more exciting than the 2016/17 New Brunswick Budget? A blog from a Tax Accountant about it! You better believe it. Budget day, whether it be a Federal or Provincial Budget is always a day that is waited for with anticipation as tax announcements can mean significant changes for business owners and individuals. The 2016/2017 Provincial Budget changes did not surprise me. The increase in the HST was the worst kept secret over the past couple of weeks with social media and media coverage of the “potential” increase. So what does the HST increase mean? First, the increase from 13% to 15% will come into effect on July 1, 2016. Business owners will have time to convert their point of sale and accounting software to reflect the changes. With the increase coming on July 1st, if you are contemplating a purchase, June 30, 2016 sounds like a great day to put the money on table, you are going to save 2%! Along with the increase to the HST, comes a refundable Provincial HST credit. This is available to individuals and it is worth $300 for an individual, $300 for a spouse or a child of a single parent and $100 per child under the age of 19, however there is a catch, an income test. So a family of 4, Mum, Dad and two kiddos, with a family income of less than $35,000 would receive the full benefit of $800 annually. The credit is reduced two cents for every dollar of family income above $35,000. So the credit disappears when the Family Income hits $75,000. The last tax point I will touch on is one that many of you may not have given much thought to is the land transfer tax. The land transfer tax increased from 0.5% to 1.0% in the Budget. Why should you be interested in this? 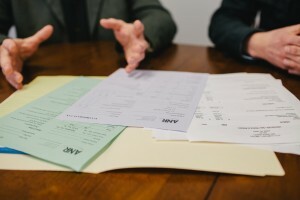 It plays a big part of a real estate transaction and it comes into play around Estates. When land transfer from one person to another, the land transfer tax must be paid. For example, a property valued at $100,000 is to transfer from a parent to a child. The tax on the transfer is now $1,000. With the baby boomer generation looking to transfer property either before their Estate or via their Estate, this will be a significant revenue generator for our Province. I apologize if you came to read this blog looking for a juicy opinion on the 2016/17 Budget, I leave my opinions to myself, however it is a significant budget from a taxation perspective and will result in changes in everything from spending habits to a small business owner accounting for sales. My advice, talk with your professional advisor about the changes and what it means to you as a small business owner or individual. Now do you believe me that a blog about a budget is more exciting than the budget itself? Maybe I don’t want to hear the answer.